Let’s face it there’s an awareness day for pretty much everything these days. Take a look at March alone – there’s International Women’s Day, National Apprenticeship Week, Fairtrade Fortnight, National Bed Month, World Kidney Day, British Science Week, British Pie week... But what’s in it for the b2b business? At first glance not a lot from a PR point of view, however from a social media point of view, there certainly could be. Take, for example, Valentine’s Day – there’s a great consumer opportunity you may think; chocolate manufacturers, floral businesses, but what about for commercial carpet companies? We spotted a really good campaign by b2b carpet manufacturer that actually hit the mark from a PR and social media point of view and generated some great engagement and good publicity. The manufacturer produced a carpet sample card in the shape of a love heart, with lots of different shades of red and pink and invited their customers – architects, interior designers, schools, commercial buyers, flooring contractors to order their free samples and give it “to the client they love” on valentine’s day. Apparently the company experienced a 65% increase in sample card enquiries that week – plus a major increase in its social media following. National Apprenticeship Week presented a great opportunity for manufacturers and construction companies to get involved with – industries which collectively employ hundreds of thousands of apprentices. Many regional, national press, plus TV reports such as BBC Breakfast news visited manufacturing businesses on this week and interviewed them about apprenticeship programmes, generated some great publicity. Indeed, we facilitated a PR campaign for CQM Training and Consultancy that coincided with National Apprenticeship week and achieved some great media coverage including this piece in Manufacturing Management magazine, plus a number of food and manufacturing publications. Use of the hashtag #NAW2018 generated lots of new likes on Facebook and follows on Instagram and Twitter, enabling our client to spread their message out even further. Another great way that a b2b manufacturing or construction company can get involved with National Awareness days is through their nominated charities. If, like many of our clients, you’re a manufacturer or construction business that supports a charity, for example a cancer charity, then World Cancer day immediately becomes a great one to hashtag. It enables you to demonstrate the caring face of the organisation and generate awareness on behalf of the charity through tweets and PR activities that you hold to fundraise or raise awareness around that day. What a manufacturer or b2b company needs to do is to identify the most relevant recognition days/weeks. These should align with their overall marketing and PR strategy. A good place to start is to look at the awareness days that your industry associations and customers focus on. For example, UK Construction Week in October is an excellent chance to engage with other construction sector businesses, through a wide range of PR and social media opportunities. When you’ve identified the top days/weeks relevant to your industry throughout the year, add them into your 2018 content calendar. You can start populating your social media calendar with tweets before and during those times and finding out the hashtags in advance, so you are well prepared. You could start planning for a big launch or event to take place around the time of, for example, UK Construction Week. This could include inviting journalists, customers to the factory for presentations and a launch event. Our PR and digital marketing team is very experienced in these areas. 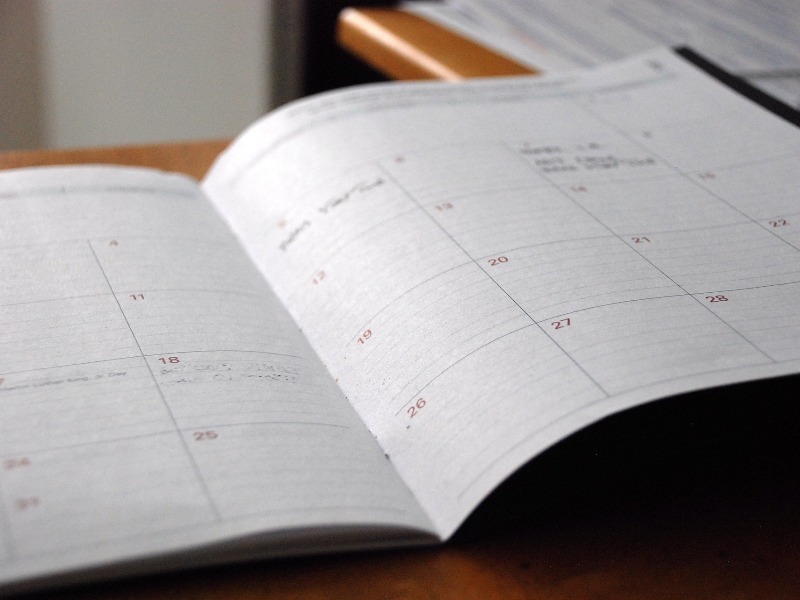 If the event and the social media and PR content calendar is well planned, you should have lots to blog and tweet/post about leading up to the event, during and afterwards. This will help you to maximise awareness. Awareness days provide a great opportunity to engage with your target audience in a new way than usual. If you integrate the most relevant days into your content planning then it will help to raise your profile as a business that not only provides the very best, innovative products or services, but one that cares about customers, the wider community and the industry it serves. As a dedicated PR and social media agency with over 15 years’ experience in helping b2b companies to generate results, we can put together an outline proposal that will help you meet your business objectives and make a huge difference to how you interact with your audiences. For more information on PR for manufacturers or PR for construction companies, especially relating to national awareness days or creation of a PR or marketing content calendar, please email our PR team on hello@dragonflypr.co.uk or call 01709 300130.